Mailbox Monday (click the icon to check out the new blog) has gone on tour since Marcia at To Be Continued, formerly The Printed Page passed the torch. 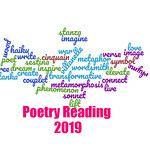 August’s host is Bermudaonion The Reading Fever. The meme allows bloggers to share what books they receive in the mail or through other means over the past week. 1. A Constellation of Vital Phenomena by Anthony Marra, which I won from Caribousmom. Two doctors risk everything to save the life of a hunted child in this majestic debut about love, loss, and the unexpected ties that bind us together. “On the morning after the Feds burned down her house and took her father, Havaa woke from dreams of sea anemones.” Havaa, eight years old, hides in the woods and watches the blaze until her neighbor, Akhmed, discovers her sitting in the snow. Akhmed knows getting involved means risking his life, and there is no safe place to hide a child in a village where informers will do anything for a loaf of bread, but for reasons of his own, he sneaks her through the forest to the one place he thinks she might be safe: an abandoned hospital where the sole remaining doctor, Sonja Rabina, treats the wounded. Though Sonja protests that her hospital is not an orphanage, Akhmed convinces her to keep Havaa for a trial, and over the course of five extraordinary days, Sonja’s world will shift on its axis and reveal the intricate pattern of connections that weaves together the pasts of these three unlikely companions and unexpectedly decides their fate. 2. Everyday Book Marketing by Midge Raymond, which includes a Q&A from me! I was so surprised when the book came. Book publication is just the beginning… Everyday Book Marketing is for the published author who is not only a writer but who also may have another career, a family, and any number of other obligations that require fitting book promotion into a budget where both hours and dollars may be hard to find. This book will guide you on the journey from Writer to Marketing Pro, offering essential marketing tools along the way-including such book promotion basics as how to schedule a book tour and how to make the most of social media to how to keep the buzz going long after your launch date. Everyday Book Marketing is divided into easily accessible sections that cover not only what you’ll need to handle before publication, such as establishing a blog and website, but what you can do during your book launch and beyond. 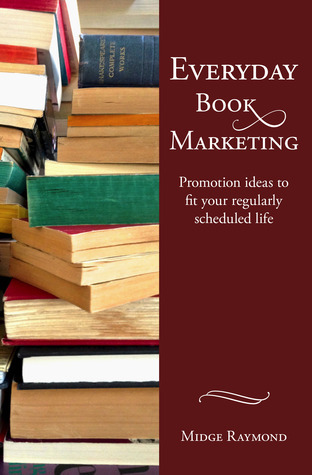 It also offers tips and advice for how to keep the never-ending tasks of book promotion manageable, whether you have ten minutes a day or two hours a day. Also included are Q&As with a range of authors and industry experts-from fiction authors and poets to librarians and event managers-who provide such invaluable tips as how to present yourself as an author, how to reach out to event coordinators, and how to find new readers both within your community and beyond. 3. 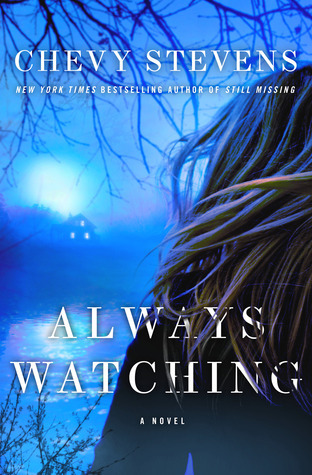 Always Watching by Chevy Stevens, which I snagged from Novel Books‘s ARC free pile. In the lockdown ward of a psychiatric hospital, Dr. Nadine Lavoie is in her element. She has the tools to help people, and she has the desire—healing broken families is what she lives for. But Nadine doesn’t want to look too closely at her own past because there are whole chunks of her life that are black holes. It takes all her willpower to tamp down her recurrent claustrophobia, and her daughter, Lisa, is a runaway who has been on the streets for seven years. When a distraught woman, Heather Simeon, is brought into the Psychiatric Intensive Care Unit after a suicide attempt, Nadine gently coaxes her story out of her—and learns of some troubling parallels with her own life. Digging deeper, Nadine is forced to confront her traumatic childhood, and the damage that began when she and her brother were brought by their mother to a remote commune on Vancouver Island. What happened to Nadine? Why was their family destroyed? And why does the name Aaron Quinn, the group’s leader, bring complex feelings of terror to Nadine even today? 4. 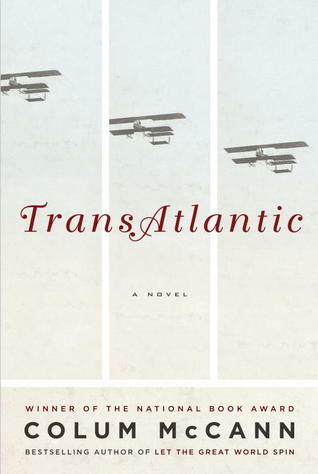 TransAtlantic by Colum McCann, which I snagged from Novel Books‘s ARC free pile. Newfoundland, 1919. Two aviators—Jack Alcock and Arthur Brown—set course for Ireland as they attempt the first nonstop flight across the Atlantic Ocean, placing their trust in a modified bomber to heal the wounds of the Great War. Dublin, 1845 and ’46. On an international lecture tour in support of his subversive autobiography, Frederick Douglass finds the Irish people sympathetic to the abolitionist cause—despite the fact that, as famine ravages the countryside, the poor suffer from hardships that are astonishing even to an American slave. New York, 1998. Leaving behind a young wife and newborn child, Senator George Mitchell departs for Belfast, where it has fallen to him, the son of an Irish-American father and a Lebanese mother, to shepherd Northern Ireland’s notoriously bitter and volatile peace talks to an uncertain conclusion. 5. The Kashmir Shawl by Rosie Thomas, which I snagged from Novel Books‘s ARC free pile. On the eve of 1941, newlywed Nerys Watkins leaves rural Britain to accompany her husband on a missionary posting to the exotic city of Srinagar, India. But when he leaves to take on a complicated mission elsewhere, Nerys discovers a new world. Here, in the heart of Kashmir, the British dance, flirt, and gossip against the backdrop of war, and Neryssoon becomes caught up in a dangerous liaison. By the time she is reunited with her husband, she is a very different woman. Years later, Nerys’s granddaughter Mair Ellis clears out her dead father’s house and finds an exquisite shawl. Wrapped in its folds is a lock of a child’s curly hair. With nothing else to go on, Mair decides to trace her grandparents’ roots back to Kashmir, embarking on a quest thatwill change her own life forever. 6. 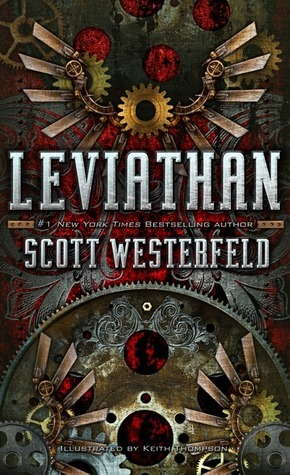 Leviathan by Scott Westerfeld, which I purchased at Novel Books as it is the October book club selection. It is the cusp of World War I. The Austro-Hungarians and Germans have their Clankers, steam-driven iron machines loaded with guns and ammunition. The British Darwinists employ genetically fabricated animals as their weaponry. Their Leviathan is a whale airship, and the most masterful beast in the British fleet. Aleksandar Ferdinand, a Clanker, and Deryn Sharp, a Darwinist, are on opposite sides of the war. But their paths cross in the most unexpected way, taking them both aboard the Leviathan on a fantastical, around-the-world adventure….One that will change both their lives forever. 7. Foreign Devils on the Silk Road by Peter Hopkirk, which I purchased at Novel Books as it is the September book club pick. The Silk Road, which linked imperial Rome and distant China, was once the greatest thoroughfare on earth. Along it traveled precious cargoes of silk, gold, and ivory, as well as revolutionary new ideas. Its oasis towns blossomed into thriving centers of Buddhist art and learning. In time it began to decline. The traffic slowed, the merchants left, and finally its towns vanished beneath the desert sands to be forgotten for a thousand years. But legends grew of lost cities filled with treasures and guarded by demons. In the early years of the last century foreign explorers began to investigate these legends, and very soon an international race began for the art treasures of the Silk Road. Huge wall paintings, sculptures, and priceless manuscripts were carried away by the ton and are today scattered through the museums of a dozen countries. How nice to find your Q & A in the book. Yes, it was nice. I cannot wait to see what the reviews say about her book. Congrats! on your win, enjoy all your books. Congrats on being featured in Raymond’s book! Happy reading! Thanks. I was and am excited about it. So cool your Q&A is featured in the book. What a fun surprise! Hope you enjoy your book club selections and have a great week! I liked Always Watching. I couldn’t get into TransAtlantic. ENJOY ALL your books. Nice Mailbox. I’m glad someone like Always Watching; I’ve seen mixed reviews, but I still want to read it. I have heard wonderful things about A Constellation of Vital Phenomena. Happy reading this week! I have as well. I can’t wait to read it. Wow, a lot a great books there! Have a lovely time reading them all! Thanks. I hope you have a great week as well. A Constellation of Vital Phenomena sounds interesting. Enjoy your reads! Wendy at Caribousmom really enjoyed it, so that was enough for me to want to read it. 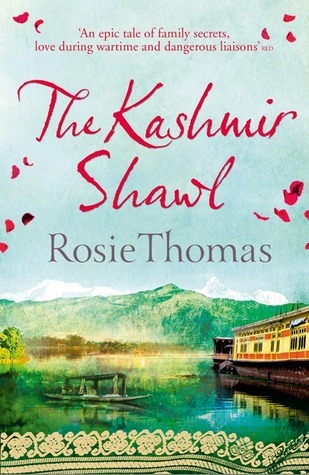 I’ve only read The Kashmiri Shawl which I really liked. 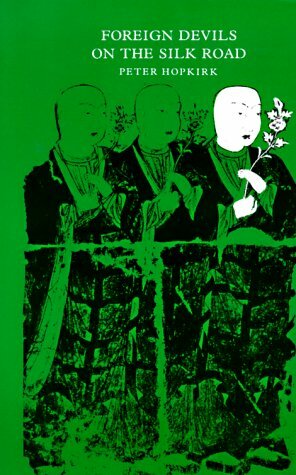 It was nostalgic and a very warm novel. The other novel I would love to get my hands on is the Chevy Stevens one and the Foreign Devils. I’m glad to hear the Kashmir Shawl is a good one. Anna seemed to like it. I snagged Chevy Stevens’ book from the free shelf. I couldn’t believe it was there. Serena has read 0 books toward her goal of 50 books.